Our farmer’s market is in full force right now, and it’s one of my favorite times of the year to visit with my local farmers, especially Paula and Jerry. I normally bike there, first thing, on Saturday morning to see what everyone is offering. After bumping into Jerry at the local baker’s tent, I had asked him if garlic was at his stand yet, and low and behold, he said they just picked it. Their garlic was pretty darn awesome last year, and as I have yet to pull mine from my yard, I decided to get a couple of bulbs from him, along with some great looking rhubarb, among other things. 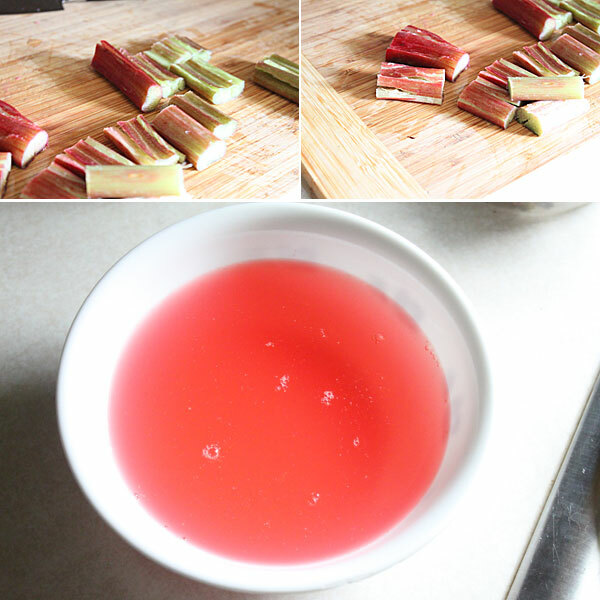 I had no idea what I was going to do with the rhubarb, and all I knew is that I had a pound of it, only to be created into something delicious. This is one of those delicious recipes. 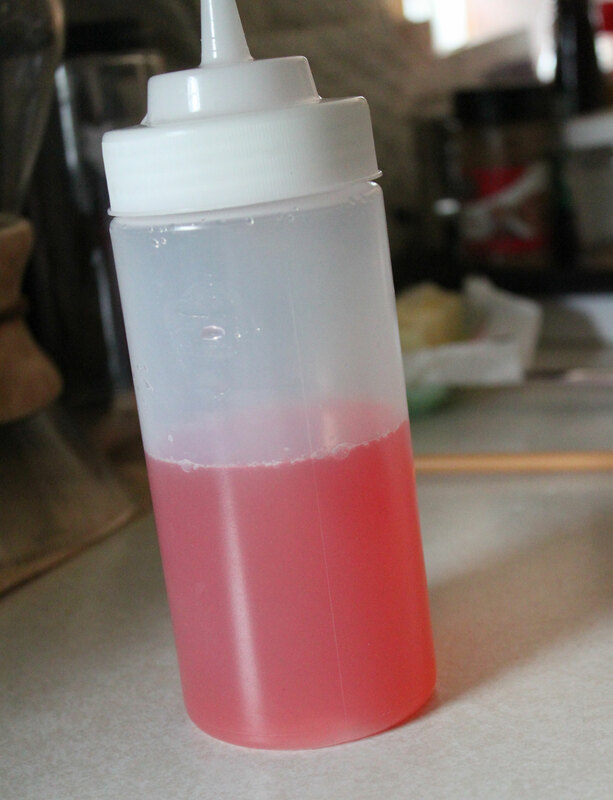 A rhubarb simple syrup. To say the least, this stuff is pretty darn good, and my daughter and I have been squirting it in all sorts of things, from water, to cocktails, to lemonade. It’s sweet, and just slightly sour and that has us coming back for more. Add everything to a saucepan, and bring to a light boil. Stir to dissolve the sugar, and then set aside off the heat to let it cool. Once cooled, go ahead and store it in the refrigerator. Not only is the color awesome, but the flavor is really great, especially when added to cold drinks on a hot summer day. Hope you enjoy!